Xiaomi announced the list of phones eligible for Oreo and Pie updates last month and said that devices are supposed to get Android Pie/Oreo update before the end of this year. Except for Redmi 5, all the devices launched by Xiaomi in India this year have already received Android 8.1 (Oreo) update. To recall, Redmi 5 was launched earlier this year with MIUI 9 on top of Android 7.1.2 (Nougat) and was recently updated to MIUI 10 Global Stable based on Android 7.1.2. 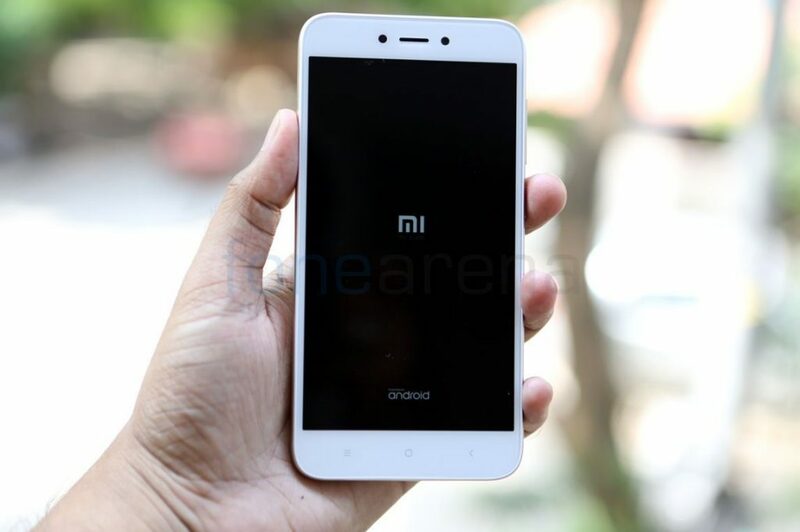 Xiaomi launched Redmi 5A last year on this day with MIUI 9 based on of Android 7.1.2 (Nougat), the company recently released MIUI 10 Global Stable ROM for the smartphone. 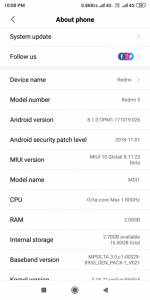 Earlier this month, Redmi 5 and Redmi 5A both the smartphones received Android 8.1 based MIUI 10 China Beta ROM and now, the company has started rolling out MIUI 10 Global Beta ROM based on Android 8.1 (Oreo) as we earlier reported. The new update comes as MIUI Global Beta 8.11.23 and also brings November 2018 security patch to both the devices along with the Android version upgrade. 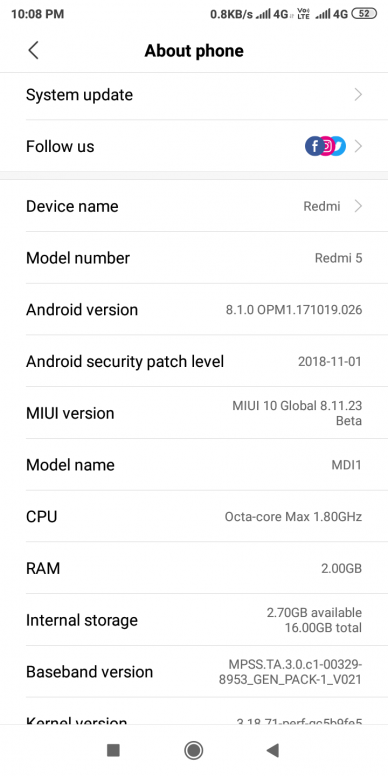 Other devices like Redmi Note 5 Pro have also received November security patch with the same update. Xiaomi has also enabled anti-rollback with MIUI Global Beta 8.11.23 on Redmi 5 and Redmi 5A, to know more about anti-rollback refer to this post. You can download recovery ROM for Redmi 5A here and recovery ROM for Redmi 5 here and flash it using the recovery method, but the recovery method is unlikely to work as the update includes Android version upgrade. Alternatively, you can download the fastboot ROM for Redmi 5A here and fastboot ROM for Redmi 5 here and flash it using the fastboot method.